On December 1 and 2 2016, the ISPK together with Chatham House jointly organized the Europe’s Strategic Choices Conference at the Ritz-Carlton Berlin. Launched in 2014 as a strategic dialogue to reinvigorate the debate about Europe’s current and future strategic challenges and now in its third year, the conference brought together 243 senior politicians, business leaders and thinkers. The format of the conference included keynote speeches, plenary sessions as well as break-out sessions held under the Chatham House Rule to facilitate an open dialogue. Brexit; a fragile currency; a refugee crisis; a stagnant economy; rising populism. Europe has a history of advancing through crisis. Can it do so again? The relationship between Turkey and the EU is treading on increasingly rocky ground. Accession talks seem to have stalled, Turkey’s economy is far from stable, and from a European viewpoint Turkey seems to be regressing on a number of democratic reforms. But the Turkey- EU refugee deal, however flawed, has brought the importance of the relationship back to the fore. Will Turkey and the EU be able to work together successfully going forward? How can they overcome the sticking points in their relationship? B Is Europe’s Approach to Counterterrorism Working? In the wake of the Syrian conflict and the terrorist attacks in Paris and Brussels, the way that European national governments have reacted is highly unequal. While some have taken sweeping measures, others remain more cautious. Europe has struggled to come up with a common answer to the problem. Is there a European approach to Counterterrorism and, if so, is it working? How can cooperation in this area be improved? Have European measures to stop the flow of foreign fighters to conflict zones been effective? 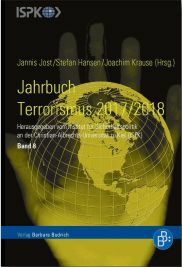 What role can prevention and de- radicalization play in countering the emergence of new terrorist networks? Inequality in Europe is rising and inclusive growth remains at the heart of the European Commission’s Europe 2020 strategy. What are the consequences of rising inequality for Europe’s social, political and economic stability? Should the EU be doing more to achieve inclusive growth? Keynote Conversation | Digital Transformation: Adapt Or Die? Digitalization is both opportunity and threat to the European economy. Established businesses face the challenge of implementing innovations without disruption, while game-changing digital businesses such as Spotify have become local heroes. Is digital transformation the key to unlock accelerated growth across Europe or a red herring? Could access to capital and top-tier talent, as well as the ready availability of developer tools and services in Europe, lead to the development of more "unicorns" on this side of the Atlantic? A Globalization and the Fourth Industrial Revolution: Are Europe’s Labour Markets and Educational Systems Ready? Europe’s comparative advantages make it well placed to lead the fourth industrial revolution. How should it adapt to ensure disruptive technologies such as the internet of things, autonomous vehicles, and energy storage are used most productively? How best can it adapt its energy policies, data legislation and education systems to maximize its competitive potential? Deterrence has once again become a hot topic in international security but its applicability has been questioned in light of the changed nature of current threats. How can Europe deter the diverse challenges it faces, from Russia, Iran and ISIS? 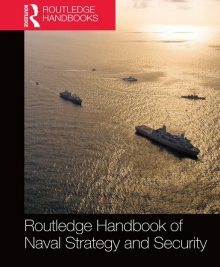 How can deterrence work in an age of asymmetric, hybrid and cyber threats? How can NATO adapt its concept of deterrence to meet current and future challenges and what role does nuclear deterrence play for the alliance? Although migration into Europe could theoretically provide the labour market with new potential, in practice it will take years to train migrants currently entering Europe to develop the skills that are needed in Europe’s highly developed economies. In the meantime, how can national governments best integrate migrants? How can European countries avoid the pitfalls of coercive integration? Has China’s growth model finally reached its limits? What are the wider consequences of the cool-down of China’s economy for Europe’s economic ties with Beijing? 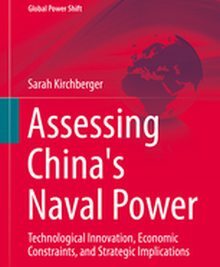 What are the prospects of a significant drift between European and American approaches to relations with China? What will be the future of Europe’s relationship with the United States under the leadership of President-elect Donald Trump? How far are EU-criticism, neo-nationalism, xenophobia and welfare-state conservatism converging in Europe? How big is the danger that the idea of Europe is losing its support? How should politicians address the causes of disaffection and loss of trust in the political process? In what way does a growing inequality in Europe contribute to this trend? With a changed security landscape in Europe’s neighbourhood and rising defence budgets, the issue of European defence cooperation has gained new momentum. What is the way ahead in a fragmented landscape of European defence cooperation? How far can bilateral and minilateral cooperation take Europe’s militaries and what are their limits? How do common European approaches involving the EU and NATO fit into this picture? Changing patterns of consumption and production, as well as new technologies, storage and transport infrastructure have the potential to fundamentally transform the EU’s energy sector. In 2015, the European Commission proposed a framework for an EU-wide Energy Union, which aims to secure sustainable, competitive and affordable energy across the EU. A year on, what are the main political risks and strategic opportunities to Europe’s foreign policy? How will these changes alter the EU’s relationship with its neighbours and major energy suppliers such as Russia? How will the UK’s decision to leave the EU impact plans for an Energy Union? For the conference report including the summaries of the break-out sessions, please klick Conference Summary (PDF).